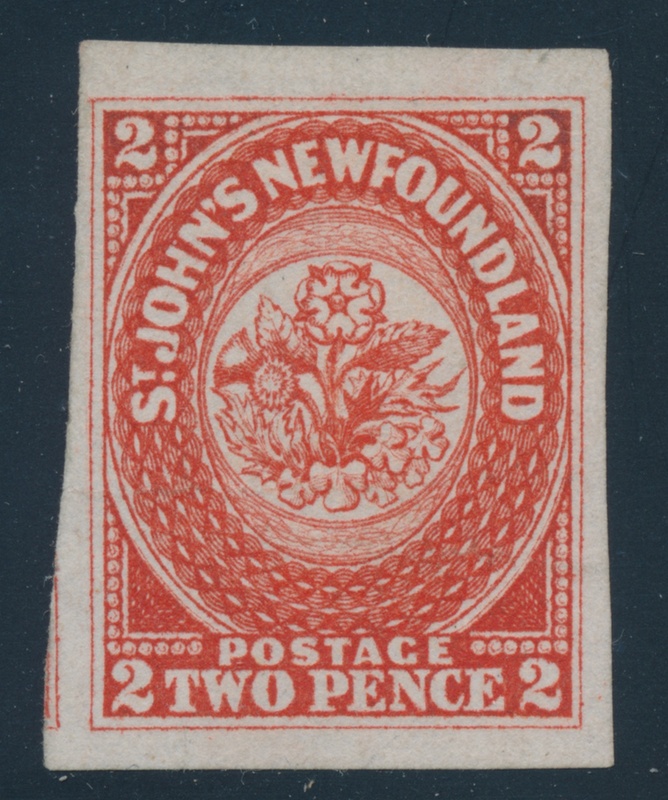 Lot 829 Newfoundland #2 1857 2d scarlet vermilion Heraldic, unused (no gum), with deep rich colour, a fine impression and four large to huge margins (showing next stamp at left). 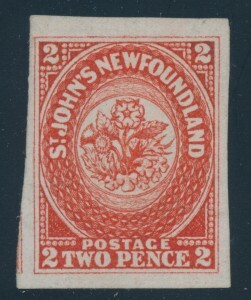 Extremely fine, a world rarity and worthy of the finest collection. Accompanied by a 1970 A. Diena certificate. Ex-Maurice Burrus (1963) and Dr. Chan Chin Cheung (1995). Unitrade CV$25,000.